Please note: this site is no longer maintained and is presented for archival purposes only. The Carleton Film Colloquium is devoted to the idea that contemporary film culture, thoughtfully considered, is an important dimension of a liberal arts education. The Colloquium brings presenters to campus who engage the community in formal and informal discussions of film. Thirty years ago, Carleton College was in the vanguard when it brought Czech film dean Frank Daniel to campus to launch a film program. In addition to his classroom work, Daniel programmed a lively extracurricular program and hosted visitors Milos Forman, Alan Pakula, Sydney Pollack, and others. Today, Carleton continues this tradition of bringing not only curricular but extracurricular film opportunities to our students. Each year, the Colloquium will aim to bring presenters to campus who can engage the community in a series of formal and informal discussions of film. Presenters will be encouraged to address not only their own contributions to film culture but also the contributions of others, especially films made by others that have inspired or intrigued them. Just a few weeks after Lord of the Rings: Return of the King garnered its 11th Academy Award, Producer Barrie Osborne (Carleton '66) visited Carleton College for the first Carleton Film Colloquium, held April 16 & 17, 2004. 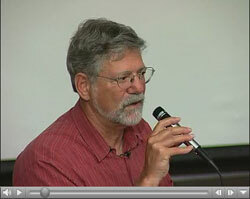 Film Colloquium 2005 featured North Country director Niki Caro and producer Doug Claybourne. We invite today's filmmakers to help inspire tomorrow's. 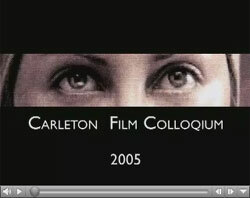 Video highlights of the Carleton Film Colloquium. Film screenings, filmmaker appearances and other media news from Carleton College. Carleton's Cinema and Media Studies (CAMS) department is devoted to the interdisciplinary study of film, video, television, and the Internet. The Golden Schillers is the annual student-produced short film festival held at Carleton College. Remembering Mike Janik '76, whose love for film helped make the Carleton Film Colloquium possible.